Thoughts From Tom Glenn, Chair of The Wilbur and Hilda Glenn Family Foundation. Born in 1947, I am a scant one year younger than the very oldest of the Baby Boomers. I have been followed by X’s, Y’s, and now Millennials. Though once proud of my prowess with Lotus 1-2-3, floppy discs, and dot matrix printers, I find myself challenged by social media, the electronic gadgetry in my car, and some of the responses I get from Siri. Siri sounds like an Xer, but I’m afraid to ask. I have become intrigued by Millennials. Though jokes about their idiosyncrasies abound (check out “Millennial Job Interview”), I see some traits in these younger folks that I think bode well for the future. Notably, they seem more focused on societal values than on social institutions, and I consider this a very good thing. Former Vermont governor Howard Dean recently opined that “the Trump election was essentially a negation of every value that young people have … [however] these people are not Democrats.” Political perspectives aside, it is apparent that Millennials are not the “joiners” that we Boomers are. Their allegiance to political parties is not nearly as strong, and the same is apparent where religious affiliation is concerned. In The Decline of White Christian America, Robert P. Jones provides data showing the relationship between Americans’ ages and their likelihood of affiliating with religious sects. As of 2014, only 18% of the 65-and-older group in a sizeable sample indicated that they were “unaffiliated,” or they replied that they didn’t know or refused to answer. This number climbs to 20% for ages 50-64, 27% for 30-49, and to a whopping 41% for the 18-29 group. Where we Boomers may have become Republicans or Methodists “because that’s what Mama and Daddy were,” Millennials are apparently less inclined to do so. It appears that these three Millennials are focusing on “beliefs” more than “belief systems.” Undeniably, they have a genuine commitment to their respective religious faiths, yet they refuse to let any interpretation of religious dogma obscure the importance of respect for the dignity of all human beings. I salute these women for their attitudes, and I respect Millennials’ willingness to probe the values underlying our social institutions. True, some Millennials may not probe the rationale for having a lug wrench in the car, but when it comes to selling them on a political party or a religious position, they are more likely to ask, where’s the beef? (to use an ancient Boomer expression). Perhaps they will force the rest of us to probe a little more deeply. And I thank them for that. The perspective of seasoned Atlanta community and faith leaders within the discussion of interfaith engagement is invaluable. But it is equally important to shine a light on new, fresh voices in this conversation. To this end, we are excited to introduce a four-part blog series sharing the thoughts of three young interfaith leaders in Atlanta. Brittani Magee, Amanda Wolkin, and Hamdi Abdi met during a dialogue dinner at Emory University’s Candler School of Theology last spring and come from varying religious backgrounds. They will each be tapping into their unique perspectives as religious young adults to discuss what interfaith engagement means to them within today’s social, political, and societal context. Be sure to stay tuned for the fourth, final post in this series detailing their collaborative call to action for the Atlanta interfaith community. In our last few articles, you’ve read three very different stories: one from a Jew navigating the waters of the professional world, one from a Muslim seasoned in interfaith dialogue, and the last from a Christian studying at the Candler School of Theology. And while we all come from different perspectives, we share two common threads: 1) we are millennials, and 2) we care about interfaith dialogue. Our generation tends to get the brunt of bad stereotypes – that we don’t look up from our phones, that we’re too caught up in ourselves to care about issues in the world. And yet, the three of us met doing the exact opposite. We put ourselves out there to strangers, eager to exchange in intercultural dialogue and understanding. We began as strangers, with nothing but stilted conversation starters and plates of falafel between us, and emerged as religious millennials eager to 1) understand, and 2) encourage others to do the same. Albert Einstein once said that “Peace cannot be kept by force; it can only be achieved by understanding.” Within our country, religious intolerance seems to be woven into the hearts of many who fear the beliefs of the “other.” So we wondered: what can be done to broaden the perceptions of certain religions, when only a small group of voices are heard? Honor each person’s identity, whether that’s diet, dress or modesty. Carefully articulate differences while affirming each religious group. Encourage positivity and build trusting relationships. Pray in the presence of “other,” but don’t expect all to pray together. Don’t Let “Religion” Scare You: Not everyone is religious – but that shouldn’t stop you from engaging in conversation. Whether you’re atheist, agonistic, or just plain unsure, join the dialogue. We can all learn from each other. Attend Local Events: There are events all around the city meant to encourage these conversations. Start with Georgia Tech’s Leadership and Multifaith Program’s (LAMP) upcoming symposium in February 2018, “Religious and Scientific Perspectives on the Future of Life.” See https://lamp.iac.gatech.edu/ for more details. AIB-TV: Atlanta’s interfaith television and video network. The Faith Alliance of Metro Atlanta: An organization whose mission is to promote respect and unity among diverse faiths in the Atlanta region. Neshama Interfaith Center: A center designed to build a community for exploration and spiritual growth. Compassionate Atlanta: A grassroots movement that seeks to raise awareness about the benefits of compassionate action. Interfaith Community Initiatives: An interfaith organization that provides interactive experiences engaging individuals and organizations to strengthen community relations and resolve conflict peaceably. And Know You’re Not Alone: Starting to engage in interfaith dialogue can be scary and uncomfortable. But you’re not alone in your quest for understanding. The three of us did it – and so can you. Describing what “interfaith” is in explicit terms is a fairly difficult task. It’s tough to envision a scenario where you can neatly package everything that makes up the belief system that is Islam or Judaism or Christianity and meaningfully enmesh it with another similarly complicated belief. However, I’m still a huge believer in interfaith work and engagement because of the direct impact it has had on my life and my understanding of myself and others. My undergrad at Trinity College was a dark time for me. By my sophomore year, I was engulfed in feelings of isolation that made even leaving my dorm a trying task, and I had a habit of dropping out of my friends’ lives for weeks when I felt overwhelmed that did not help matters. I told myself it was just how I coped with the stress, but I actually had no idea what was going on with me. It took no shortage of individuals to pull me up to where I could stand once again, but the person that helped me make the best sense of it was the college chaplain. At Trinity we had an Interfaith House (formally the Charleston House of Interfaith Cooperation) where we held monthly dinner discussions about the common threads that ran through the participants’ faith traditions regarding themes such as love, justice, liberation, etc. The conversations were insightful, the food we catered was delicious, and a fun time was had by all. To be honest, I’ve forgotten most of what was said, but what was lasting was the sense of community I felt in that time and the relationships I made. I met Chaplain Allison Read through the House, who talked me through a crisis I had never experienced in my bubble of a home in Georgia. There was nothing missing between us or impeding her from reaching through to me. And there was no pressure or competition to grapple our faiths against each other. It was just us communicating. It’s easy for people to commune over having similar identities, including religious identity. It’s much more difficult to do that in terms of knowledge. At the House, we all made a commitment to come together and learn from each other and at least my life has been richer for it. I ultimately hope to continue developing the same sort of compassion and understanding for others that these people had for me because this interfaith experience changed my life. 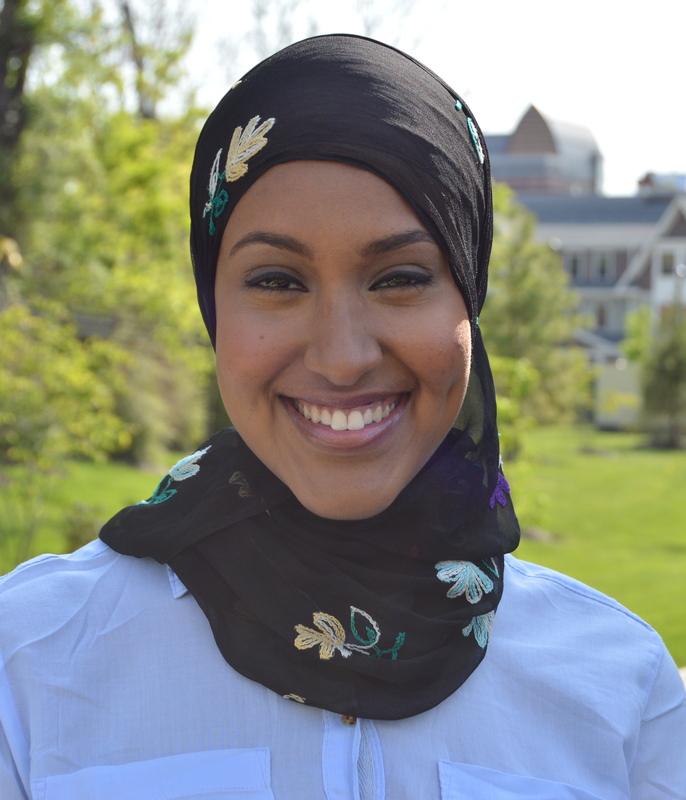 Hamdi Abdi is a graduate of Madina Institute Seminary and Trinity College, in which both she found a home in great ideas and even greater people. She credits her undergrad for introducing her to interfaith as a concerted practice through three years at the Charleston House of Interfaith Cooperation and black women for everything else. She believes an empathetic understanding of people is necessary for meaningful progress towards a more just world, which is more work than she bargained for. But she’s willing to make it work. Two years ago, with only a bag, a passport, and a blind sense of adventure, I boarded a 27-hour flight to Malaysia. At the time, I didn’t know where I’d be living, who I’d be teaching, or how I’d fare over the next 10 months as a Fulbright grantee. Would I like the food? Would I get along with my school community? And – as the lingering voice of fear in my head reminded me – would I feel safe as a Jew in a Muslim community? Before I got off the plane, I made the decision to keep my religious identity a secret. I told myself it was a matter of safety when, in reality, it was a matter of dialogue. Over the next year, as I lived and worked in a Muslim community, I learned extensively about the Islamic faith. I dressed in traditional baju kurung, accompanied my students to their family Iftars, and began asking questions about the Qur’an. Before long, I realized one simple truth: although our faiths were different, our values were not. These kind people had become my family, no matter our belief systems. Before I left, I sat down with my closest friend, a Muslim co-teacher, and told her I was Jewish. She sat, stared, and then wrapped me in a hug. I was the first Jew she had ever met. Coming back to America, I was determined to continue engaging in this interfaith dialogue. After all, in a political climate when so much is misunderstood or overgeneralized, it’s essential to truly engage in these conversations. Behind the labels, we are all people: people to listen to, learn from, and understand together. Amanda Wolkin is passionate about education and writing: two fields that have led her quite literally around the world. While an Atlanta native, Amanda studied Creative Writing and Urban Education at the University of Pennsylvania before embarking on a Fulbright English Teaching Assistantship in Malaysia. In the small town of Kuching, Sarawak, Amanda taught creative writing to middle school students and eventually launched the first English-language writing competition sponsored by the U.S. Embassy. Since moving back to Atlanta, Amanda has worked extensively in both the non-profit and marketing sector. 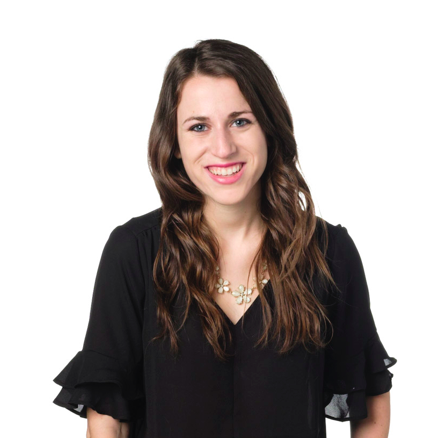 She now combines these skillsets as a content strategist at Jackson Spalding, where she advises on social strategy and non-profit/corporate social responsibility marketing. What is the future of interfaith engagement in an increasingly diverse and politically polarized American society? What challenges will religious and civic leaders face as the 21st century progresses? What steps should young people in Atlanta take to develop enduring and meaningful multifaith relations? Candler School of Theology at Emory University and the Wilbur and Hilda Glenn Family Foundation will host two events on November 1, 2017, to explore the challenges and opportunities for interfaith initiatives in Atlanta and across the United States. Students, young professionals, clergy, and members of the Atlanta community are invited to a lunchtime lecture and an evening dinner workshop with Imam Abdullah Antepli, Chief Representative of Muslim Affairs at Duke University. Both events will be held at Candler School of Theology (Rita Anne Rollins Building, 1531 Dickey Drive, Atlanta, GA 30322) and are free and open to the public, with registration required. Kosher and halal meal options will be available. Register online by noon on October 25 at http://tinyurl.com/Antepli-Events. Abdullah Antepli is the Chief Representative of Muslim Affairs at Duke University, where he previously served as first Muslim chaplain from July 2008 to 2014. Imam Antepli completed his basic training and education in his native Turkey. From 1996-2003 he worked on a variety of faith-based humanitarian and relief projects in Myanmar (Burma) and Malaysia with the Association of Social and Economic Solidarity with Pacific Countries. He is the founder and an executive board member of the Association of College Muslim Chaplains (ACMC) and a board member of the Association for College and University Religious Affairs (ACURA). From 2003 to 2005 he served as the first Muslim chaplain at Wesleyan University. He then moved to Hartford Seminary in Connecticut, where he was the associate director of the Islamic Chaplaincy Program & Interfaith Relations, as well as an adjunct faculty member. In his current work at Duke, Antepli engages students, faculty, and staff across and beyond campus through seminars, panels, and other avenues to provide a Muslim voice and perspective to the discussions of faith, spirituality, social justice, and more. Imam Antepli also serves as a faculty member in the Duke Divinity School, teaching a variety of courses on Islam and Muslim cultures.